Come hail or high water, Karachi Eat 2017 has been rescheduled to take place next weekend and the fabulous lineup of six music acts will unleash upon gluttonous foodies, keeping music alive in the city by the sea. Lahore will be treated to Lahore Eat next month and until then, the cultural city will have some music to feed its souls. A case in point: Noori brothers. Though they recently emerged at the Miss Veet finale, it’s their live music reputation that has made them so formidable. This past weekend, they took the stage at a show at Lums University in Lahore and as usual captivated all those who were present. Singing hits like ‘Paar Chanaa De’ and ‘Saari Raat Jaga’ during their set, Noori rocked it out brilliantly. And this live music buzz is not over just yet. After Salt Arts joined hands with artists like Ali Hamza’s solo outfit, Sanwal plus Jimmy Khan and many others in 2016, it looks like their innovatively-designed shows will continue into 2017. While Natasha Humera Ejaz takes the stage with her band as part of the Salt Arts Soiree 8, Salt Soiree 9 has been announced as well. Featuring the Ahsan Bari South Asia Ensemble, it is scheduled to take place on January 25 at Cotie Roti in Karachi and will see Bari play alongside Omran Shafique, Saif Abbas Rizwan, Shams Ul Arifeen and Rahat Ali. Published in The News, January 15th, 2015. LAHORE-Bands and artistes don’t win followers unless they engage with audience. Playing live music is the ultimate dream for a true artiste. It’s absolutely necessary to feature new artistes with good talent, who are ready to take the leap of faith in their skills. The Levi’s Live Music third session took place at Riot Studios captivating audiences with the live renditions. 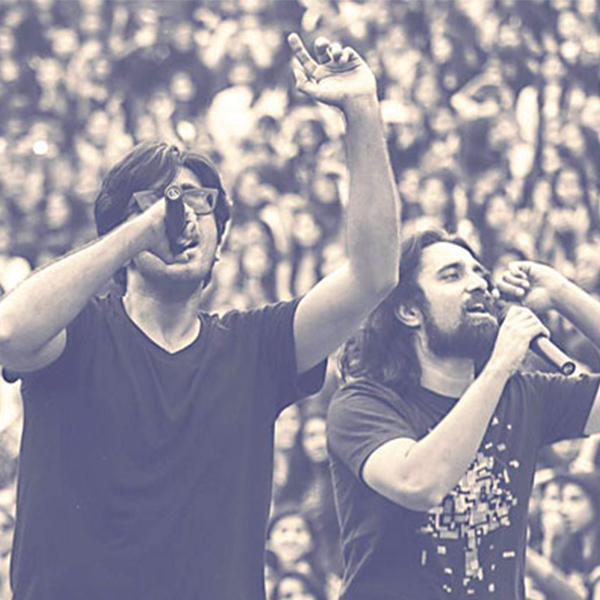 The third live session featured Noorzadeh Raja and Rakae Jamil as the opening act and Noori as headliner at Levi’s Live. This is a platform to play live music for talented young upcoming musicians to reach their creative heights in the Pakistani music industry. The audience could be seen tapping their feet and young crowd enjoying the live music sessions. The opening night was attended by musicians, music enthusiasts, students from various institutions and an eclectic mix of personalities who enjoyed the live session. The sound, stage setup, lights and the atmosphere mesmerized the audience who were seen singing to the tunes of the music. The studio space has been specially redesigned for the Levi’s live featuring denim walls of the iconic blue shade of the brand. Farhad Humayun of Riot Studios said, “The third session showed me that people are letting go of their inhibitions. The audience is much freer and not only is the music enthusiasts coming to Levi’s Live but also those who are interested in making a change through art and design and dialogue. Noori killed it with their set and I’m so happy to see artistes like Shiraz Uppal who was in the audience but then sang to embrace a loving audience. Younger artistes are also getting a chance to showcase their work and I think we are on to something really unique here. The musicians who performed in the previous Levi’s live session have been appreciated far and wide and the crowd loves it. Published in The Nation, January 1st, 2017. Noori Live on LEVI’S Live on 30th December, 2016. Here is a chance for our fans to win free PASSES for the LIVE COKE Concert in Karachi on 24th December 2016. All you need to do is go to our Youtube Channel and Click SUBSCRIBE .Once done, message us your Full Name and Phone Number on Facebook. Venue: Karachi United Stadium Clifton. Located at St. 20, Block 1, Scheme 5, Clifton, Karachi, Pakistan. It is a FAMILY event and admission for children under 5 is free. 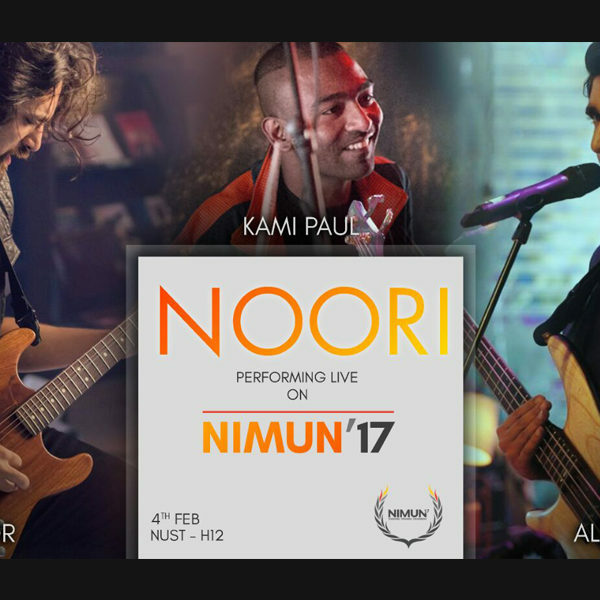 For all those who have been ‘Noori,’ fans since the 90’s would need no introduction to the band and the song itself. Their most recent collaborative single ‘Dil Ki Qasam’ with the Coke Studio famed vocalist Sara Haider adds a special twist for fans. A song originally sung by the rock band is now chosen as a soundtrack for a beauty brand reality show, ‘Miss Veet 2016.’ Shot in Sri Lanka. The new version of the song talks about transformation and finding courage. Good thing for Noori fans, they managed to make it through without losing their edge. Sara Haider while talking to Pakistan Today reveals about the experience re-working the song with the revered music band. “The song is about finding your courage, strength and changing perspective,” says Sara. Revamping the song is a huge challenge on its own, but what the team was trying to achieve was far greater than that. Bringing a female on board for the new version was a whole new experience. The lyrics needed to be re-written and Shuja Haider came into the scene and wrote all the lyrics. The basic idea of the show is to take regular girls and not ‘supermodels’ and show their transformation journey. Thus, the song was chosen because ‘it fits into the idea of the show-transformation’. “It’s about creating a new idea; of not empowering women, but allowing them to find the strength that they already have and channel it towards changing their own circumstances,” added Sara. “As someone who has done this for myself, I know how important it is to be reminded that you are strong enough all on your own,” she added. The video as mentioned earlier was shot in Sri Lanka, and being the beautiful place that it is added a whole new element of ‘WOW’ to the whole Miss Veet 2016 experience. “We even had a great time bonding with the judges, the place where we stayed ‘Balipitaya’ was an amazing beach, so it felt like a vacation with friends,” she added. During the interview, Sarah thanked her fans for the immense love and support throughout her journey – the good times and the bad. Sara also stated that because of all this love she is here to stay in the industry. “Keep your family close they really get you through the hard times,” she told her fans. Sarah is all set to release her new single ‘Bhaisaab’ along with a Close-Up web series. Not only that, she has written and performed a track for Mehreen Jabbar’s recently released ‘Dobara Phir Se,’ something she has been really happy about. So what the future holds for Noori and Sara Haider, only time will tell. Published in Pakistan Today, December 17th, 2016. Rock band Noori paid tribute to Junaid Jamshed who was among the 47 victims of PIA PK-661 which crashed on Wednesday enroute to Islamabad. Noori is a rock band from Lahore, Punjab, Pakistan, formed in 1996. The group was formed by songwriter, lead vocalist and guitarist, Ali Noor, along with his younger brother Ali Hamza, who were soon joined by bassist Muhammad Ali Jafri and drummer Salman Albert. Since the inception of the band, there had been many changes in the line-up; the only consistent members being, brothers, Ali Noor and Ali Hamza. The band is considered as one of the pioneering forces behind what is dubbed as the “21st Century pop revolution of Pakistan”. The band is known for being one of the pioneers of the Pakistani rock music scene. 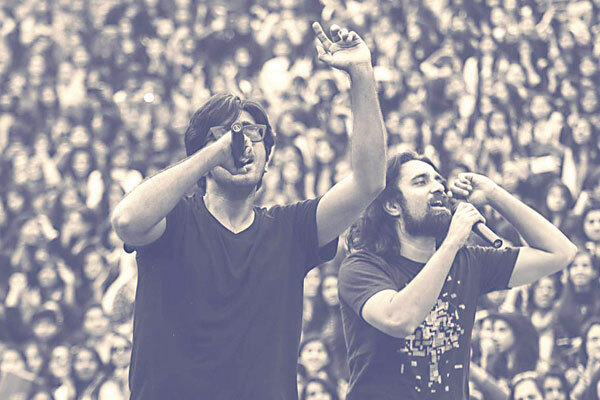 Although, initially the band, formed by the two brothers, Ali Noor and Ali Hamza, the latter left the band to pursue studies at Lahore University of Management Sciences. Published in GEO News, September 22nd, 2016. © 2003 - 2018 nooriworld.net. All Rights Reserved.